Austin’s first Food Hall is scheduled to open in Fall of 2017 and it will feature locations of some of Austin’s most popular restaurants, Culturemap Austin reports. The development is to be called Fareground and will be located at the corner of Congress and Cesar Chavez. The space will include coworking space, an event venue, lounges and conference rooms in addition to the food hall, spread over an outdoor park and indoor lobby. Antonelli’s Cheese Shop will have sandwiches, soups, and their traditional charcuterie plates. 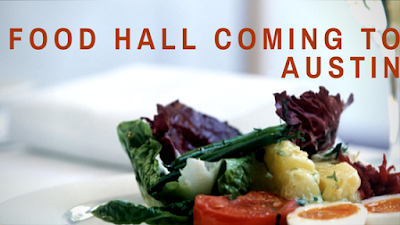 Contigo Fareground will have its beloved burger, salads and new menu items. Easy Tiger will serve up fresh baked bread, pastries, sausage, and craft beer. Dai Due chef Jesse Griffith will open Dai Due Taqueria, bringing the focus of local ingredients and wild game that he serves at the Manor Road outpost to tacos. Henbit & Honeybit comes from Emmer & Rye’s chef and pastry chef. Henbit will have an approachable menu made from sustainable ingredients and Honeybit will serve dessert and ice cream from a cart. The chefs behind Komé and Daruma Ramen will bring Ni-Kome to Fareground. The restaurant will combine Japanese food and noodles. Looking to find an apartment close to downtown? Give Austin Apartment Specialists a call today at 512-912-8000! 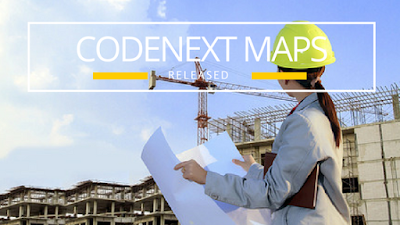 The city has released the new CodeNext maps, the Austin American Statesman reports. The maps will show how new code will be implemented across the city, but there was nothing that either neighborhood activists who resist new development or proponents of increasing density in the city saw as worth getting riled up over. On first glance, experts think the new maps just continue with business as usual and cement the development patterns and practices that are already in place. However, most of those reviewing the new maps say they will take some time to digest. After three years and $6.2 million spent on the CodeNext process, the new system basically divides the city into two zoning schemes. One will be similar to what is already in place and would apply to suburban areas of Austin and the second is designed to bring density to Austin’s urban core and transportation corridors. City Council has stated a goal of building 135,000 new housing units by 2025 and set aside almost half for low-income residents. The hope is that the new zoning rules will make that easier to do. Are you a new resident of Austin looking for housing? Or maybe you’re feeling the pinch of rising rents and looking to make the move to a more affordable apartment? No matter what your motivation for moving, Apartment Specialists South Austin can help! Give us a call today at 512-912-8000 to find your dream home today! 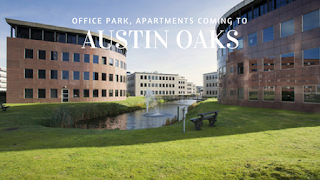 Austin Oaks, a development that has been proposed near the corner of Spicewood Springs and Mopac, got zoning approval from the Austin City Council last week, the Austin Business Journal reports. Spire Realty Group plans to replace an old office park with a 31 acre development that includes apartments, office towers, and retail. The development was first put forth in 2014, but the plans have been changed after the developer met with neighborhood groups opposed to the project. These meetings resulted in the two apartment buildings being limited to four or less stories each. There will also be several mid-rise office buildings, with one being nine stories near Mopac, 1.2 million square feet of space total, and 375 or less apartments, with 41 for low-income renters. The land is currently occupied by an office park with 12 low-rise buildings. Interested in moving to Northwest Austin? Austin Apartment Specialists can help you find an apartment anywhere in Austin! Give us a call today at 512-241-1111! Riverside Resources has acquired part of the old AMD campus in southeast Austin for a new, large office park, the Austin Business Journal reports. The goal of the company is to get enough land to have a multi-tenant office park or corporate headquarters. Riverside Resources bought a building that was previously owned by Cypress Semiconductor and has 330,000 square feet. They want to remodel the space and lease the property as office condos. They also have 46 acres next to that building and wants to construct an office park that spans three buildings and 425,000 square feet. Ben White is a convenient East-West highway, the land is close to the airport, and Oracle’s new campus is located nearby on Riverside Drive. Other attractive amenities in the area include Lady Bird Lake. The area is also close to downtown and is increasingly popular with young professionals, especially those who work in tech. Looking for an apartment in the East Riverside-Oltorf neighborhood? 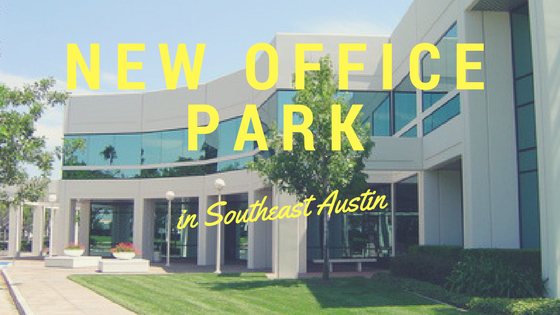 Give Austin Apartment Specialists South Austin a call today at 512-912-8000 to find your new home today! According to Culturemap and a new study from Datafiniti, local events like SXSW, UT graduation, and the Austin City Limits Festival cause costs for Short Term Rentals to increase dramatically. Using sites like Airbnb, HomeAway, and other short term rental websites, Datafiniti looked at over 10,000 listings from October 2015 to September 2016. In March 2016 during SXSW, the price for a short term rental in Austin reached its peak: three times more than normal. Median rent during SXSW 2016 was $600 per night, compared to the normal rate of $200 per night. Rent for a three bedroom was about $650, but for just one bedroom it was about $100. 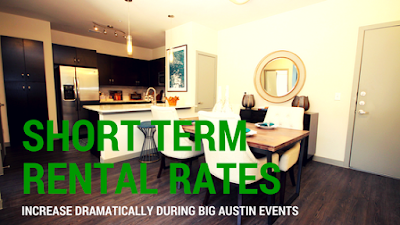 Rental rates also rise sharply during May graduation and during Austin City Limits in October, to $400 a night. Short term rental rates are the lowest during September, November, December and January, with the median rent price less than $200. Datafiniti reports that Austin’s hotels have rooms for 40,000 people nightly and the short term rentals help provide more lodging for visitors when those rooms are full. The Austin City Council, though, wants to get rid of Type 2 short term rentals, which allow owners to rent out an entire house, in favor of allowing only Type 1 short term rentals, which will let owners rent out a room in a house they live in. City Council says that permanent residents are often disturbed by noisy short term renters. Ready to become a long term Austin renter? Give Austin Apartment Specialists a call today at 512-241-1111 to find your dream apartment in Austin!